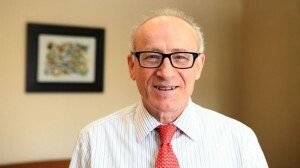 In this interview Dr. Makram Sader, Secretary General of Association of Banks in Lebanon talks about several issues including economic growth, internal and external risks, sanctions against Syria and Iran, money laundering , tax exchange laws, tax havens, new legislation , the political instability in the region and its effect on Lebanon. The IMF forecasts a real growth of 3% in 2012 for the Lebanese economy. How sustainable is this on a long-term basis and what do you think are the biggest challenges for long-term growth? In 2011, the IMF was expecting a much slower rate of growth, around 1.5%, but we performed a larger growth rate of more than 5% based on the last recent estimations. This result was confirmed by the National Accounts Unit at the Council of Ministers, so we were happily surprised by this rate of growth. In 2011, we had the impact of the regional events—Syria, Egypt, etc.—and we were not expecting such a good rate of growth. In 2012, we presently don’t have yet local estimates for the economic growth. And the Bankers Association does not produce its own estimates on economic growth. It’s a very complex issue and we don’t want to enter the estimates game. But we are still waiting for the Central Bank of Lebanon and for the administration of statistics to produce the first estimates for 2012. We hope that the estimation published by the IMF expecting more than 3% for 2012 could be realized! What do you think are the greatest long-term risks to the Lebanese economy, both internally and externally? Internally, the biggest risk for us is still an open Lebanese-Israeli military conflict. It would be the worst thing for our economic growth. So, with the United Nations peace-keeping forces in South Lebanon, I hope we will not see such conflict taking place. Externally, the events in Syria are the most serious threat for us. We manage in 2011, despite those events to have good economic growth. But we start feeling the negative impact of events in Syria in the area of exports, transit of goods, tourism, FDI, etc. I have some statistics for the Lebanese banking sector: deposits increased by 1.7 billion USD; bank loans increased by 1.1 billion USD during the first month of 2012. But the banking climate continues to be tough so there is pressure on the margins and slow fee income growth. What is the outlook for 2012 and beyond? For 2012, we can say that based on the first two months of the year, we are expecting a growth rate of around 7% on our banking activities. We are expecting a slower growth in our profits, perhaps less than 2011 and 2010. But we still have a good profit rate and we are expecting our return on equities to be, not 15% like last year, maybe a little bit less. But still, compared to return on equities worldwide and in emerging countries, it is a comfortable return. Also, we are not expecting the return on our assets to be less than 1%. We had stable return on assets in recent years, between 1.1-1.2%, but this year we may attain 1%. Still, this return is a good return for us, because the size of our assets is very large compared to our economy. That’s why a 1% on our total assets is a good return compared to other banking industries in the area, if you compare to Turkey or to Egypt. Do you see a year of higher competition for Lebanon or do you see banks expending in the markets of Turkey and the surrounding regions? It’s a very competitive market. We have very high competition within our banking industry. But regionally, we don’t have high competition as in Lebanon. We are in a period of expectation. We are waiting to see what will be the outcome of the events occurring around us. It will be the “wait and see” policy. We are not expanding regionally as of now, except one bank is trying to expand in Istanbul in Turkey, which is Audi Group. But it’s too early to talk about a Lebanese banking industry’s expansion in the Turkish market. What would you see are some of the major banking risks for the internal market? Our major risk is to see security deterioration around us and impacting the political stability in the country. We are also afraid of the deterioration of the political and security situation around us than of the financial situation. We are used to operate under tough conditions. We know how to handle risks related to unstable environments, but we hope that what is going on in Syria will not impact the security situation in Lebanon. That is the only thing we cannot fully control ourselves, and our country relies on the wisdom of our ruling class to avoid any Syrian involvement from the Lebanese side. 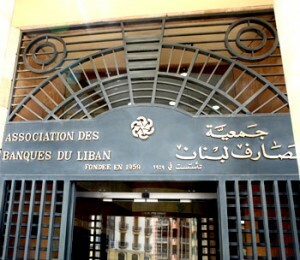 The Lebanese banks are well-managed and despite the events in Syria are doing well. We are waiting and we have the capacity to wait without losing money. ou are trying to professionalize the banking sector, to bring the tax exchange laws and the money laundering law, and the transportation of cash between countries. What are the latest developments on this legislation and what will these laws mean for the banking sector? We had some cracks in our laws and regulation. Our government is trying to fill these cracks to be compliant with international norms and standards. So the first project is on tax information between countries. This is a new OECD standard, so we are complying now with this requirement. Also we introduced a lot of amendments to our anti-money laundering financing of terrorism laws. Our basic law, no. 318 of 2001, we are amending, it will cover in addition to the seven financial crimes described in it, a ten more ones. To comply with international standards, to give you an example, we added intellectual property rights enforcement. This standard is very important for the United States and I think our amendments to law no. 318 are very important to comply with international standards. And the third one is the cross-border cash transportation. Until now, we didn’t have any obligation to report or disclose cash amounts introduced to the country. And when this new project law will be enacted, it will be in line with the international standard. We retain the amount, of fifteen thousand dollars as in Europe. All amounts exceeding fifteen thousand should be reported. So I think we are moving on in the area of complying with international standards. As I told you, our central bank issued a very important circular, circular 126 in April 2012, which asks our banks to comply with the sanctions on countries like Syria and Iran, implemented by our correspondent banks. If we are dealing with a U.S. or European bank, Deutsche Bank or J.P. Morgan, and if these banks are complying with the U.S. and EU sanctions against Syria and Iran, then Lebanese banks should comply as well. It’s a way to implement sanctions voted by EU and U.S. outside of the United Nations. It is a very important development. Before, our bankers were self-regulating, self respecting and were not protected by any laws or regulation concerning the sanctions against Syria and Iran. But with this new circular, our regulator is giving a legal coverage to what we already were practicing. This is a major legislation and perhaps the start of a new trend. What are the long-term implications of this circular in your opinion? I think what the Central Bank did is very good because politically speaking maybe our government could not, would not enact a law or issue a directive obliging the financial sector to respect these kind of sanctions not issued by the United Nations, rather they are sanctions decided by some countries. The Central Bank is filling a political gap. Yes, because it’s very hard for our government to decide on sanctions against countries like Syria or Iran, politically speaking it’s not easy. But the Central Bank is trying to officialize what our bankers are doing. We were self-implementing these sanctions, but now we are covered, and that is important for us. Do you feel like this new legislation can endanger the good position of Lebanon as a tax haven? Lebanon has never been a tax haven. You think a British citizen or a French citizen is rushing to Lebanon to deposit his money here? Because the country risks, the sovereign risks and the security risks involved are much more than other tax haven countries. Lebanon has never been a tax haven. You think a British citizen or a French citizen is rushing to Lebanon to deposit his money here? Because the country risks, the sovereign risks and the security risks involved are much more than other tax haven countries. We are not Luxembourg or Switzerland, we have a lot of internal security and political problems. We are surrounded by Israel and Syria, we are not surrounded like Luxembourg by Germany and France. We are operating in a very tough environment. That’s why we are obliged to overpay on our dollar deposit, on average we are paying 3% on our dollar deposit in Lebanon while it is somewhere between 0.35 (Libor) to 1.0 (Euribor) depending on the currency and the maturity. We are paying 220 to 250 base points more than the international market just to keep our depositors in Lebanon. Because we have a high country risk, why would an English gentleman or a U.S. citizen put his money in Lebanon? You know it was a very old story, in the ’60s and the ’70s, when you didn’t have a good banking center outside Lebanon, but now you have Bahrain, you have United Arab Emirates, you have Saudi Arabia which is a very big banking market today, so things have changed. Today we are not attracting a lot of money from outside Lebanon. We are attracting the money from the Lebanese business community outside Lebanon because they are confident in Lebanon and they have been dealing for many decades with our bankers, they are confident. They know our bankers and our bankers know them. If you look into our non-resident credit portfolio, it is a component of our total credit because we are following our Lebanese clientele in their operations outside Lebanon. If you have a Lebanese entrepreneur running some business in Qatar or elsewhere, we are financing him for having have known him for decades. So it is really a clientele related base of credit and deposit. Let’s touch also on the technical side. You mentioned that you will be implementing the FATCA, the RTGS, etc. So what are some of the newest technical developments? We haven’t yet implemented it, but we are in the final stages and I think by May 26th, we will start the RTGS system i.e. real time direct settlement of big amounts between banks. It will increase the need for liquidity within the system. You are not waiting for a clearing house, 24 hours, etc. So it will require more liquidity on the side of our bankers, but as you know, liquidity is not really a problem for our bankers because we have always been highly liquid, even in foreign currency. Strategically speaking we hope our surrounding countries stabilize. It’s the most important and strategic thing for us. We don’t want the events in Syria to be here for years and years. It’s not good for our political stability. Is there anything you think we need to cover that is important? The IMF downgraded Lebanon’s credit twice cause of Syria…. Really … another ‘rocket scientist’ … at least he’s smiling. Not like us who had to read this twice at the top … and suffer the simple facts as well. Really … another ‘rocket scientist’ … at least he’s smiling.